As I reflect on more than two decades of parenting my own children, I continue to believe that the greatest gift any parent can give is to help their child develop self-awareness. One of the best opportunities for clarity about who we are and want to become presents itself when we have conflict with others. 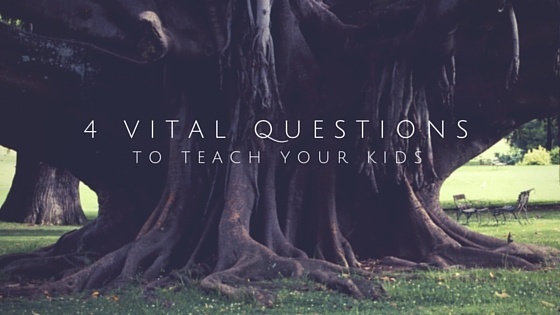 Whenever my children have had conflict with their mom, sister, best friend, teacher, teammate, coach, or a stranger, I have done my best to focus them on questions that help them become more self-aware. That’s because humans have a tendency to focus on the actions, attitudes, and beliefs of “the other” in the conflict. We want to avoid asking the tough questions about our own role in bringing about conflict. It’s simply easier and more convenient to blame the other person for creating and sustaining conflict. What was my role in creating this conflict? Does the way I’ve acted during this conflict represent the kind of person I want to be? Are the decisions I’ve made during this conflict in line with the kind of person I want to be? If I saw someone else behave in the way I’ve behaved during this conflict, what would I think? It’s amazing how these questions have helped my children gain insight into who they are and want to become. These questions have helped them step back and take an objective view of the situation and realize that, regardless of what the other person says or does, they have the power to end the conflict or walk away from it. Teach your children to use these questions to help them grow into self-aware youngsters and adults. You’ll be glad you did.